CranioSacral Therapy is a hands on body therapy that harmonizes the physical and energetic systems of our body. It is extremely gentle in its approach, yet very powerful in its effects, as it recharges the self-healing ability of the recipients body. The results are longlasting and are often accompanied by a deep sense of connection and harmony. Our body`s innate healing capacity is compromised at times, and needs a helping hand, to be able to restore balance and health. Healing is about restoring balance and health, to become whole again. Healing is about opening to our natural energy and form. It’s a journey into wholeness, to be free to be yourself, trusting your feelings and intuition, recognising your own light. Healing is opening to the warmth of love, softening in a moment of contraction and darkness, allowing a new experience of Self in the presence of love, grace and spirit. Healing is not necessarily about treating symptoms – getting rid of pain, emotions, beliefs etc – it is about going to the cause of the issue, and that’s when miracles happen. 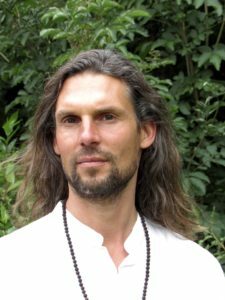 Philippe is a fully qualified Healing Practitioner, drawing on 20 years of experience, working with and studying body and energy medicine. He is an Energy Intuitive and Healer, CranioSacral Therapist and Soul Centred Counsellor. Philippe`s interest in alternative healing methods connected him to Yoga, Chi Gong, Meditation and Shamanism early in his life. His extensive travels through the Americas connected him to the wisdom of many different indigenous cultures and their healing methods. He always felt a deep affinity with indigenous people, their way of life and their connection to mother earth. This connection to the divine in all of life, is a vital part of his life and work. He is facilitating Healing Groups, Workshops and Retreats in New Zealand, Bali and Europe.